Police say the wallet was found by park staff at Sam Mason Park near Queenston Road and Nash Road North. Reddit user Jdm67 posted photos of the wallet Friday morning. 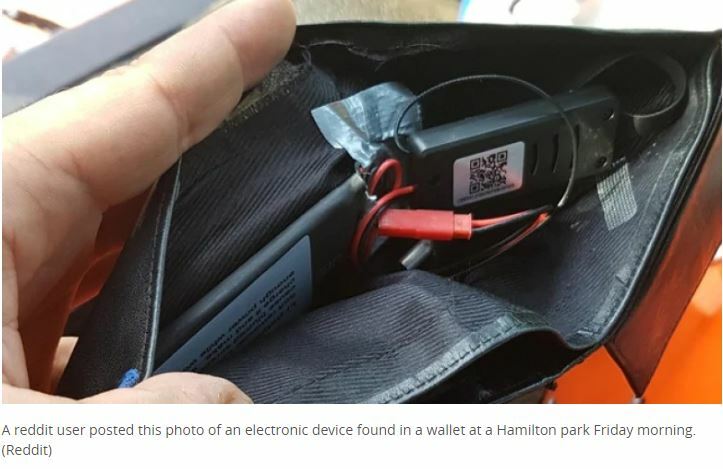 The poster said he or she opened up the wallet looking for a driver’s licence, but instead found what the poster believed to be a pinhole camera, a battery, and a memory card. “It was set up near the playground with a hole for the camera to view through,” the post reads. “If somebody meant harm by this, a wallet is the first thing that would be picked up at a park,” she said.